SRG SSR Swiss Official Viewing Card in Viaccess broadcast from 13" East. 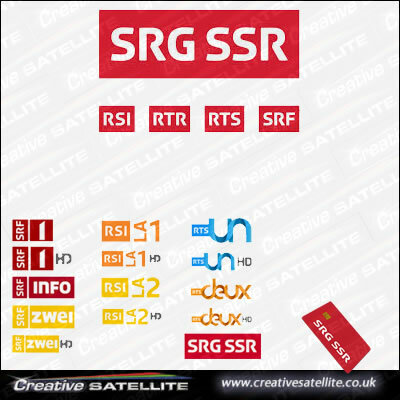 SRG SSR Switzerland Official 12 Months Viewing card.. SRG SSR broadcast from 13" East Hotbird and 1 channel is on Astra 1 , 19.2 east . SRG SSR Swiss card is encrypted in Viaccess 5.